The NBA Finals 2016 game 6 will give the Golden State Warriors another opportunity to close out the series. Leading the finals 3-1, the Warriors could have seen off LeBron James’ Cavs in game 5 of the best of seven affair. However, James and teammate Kyrie Irving both chipped in a massive 41 points each. Only 30 of the Cavs’ 112 points were scored by players other than the team’s two stars. James and Irving were clutch for the Cavs, and Cleveland will need another big game from the pair in game 6 if they want to tie the series, and force a decisive game 7. It has been 52 years since the city of Cleveland has had a championship winning side in any sport. The Cavs have the opportunity to end that unfortunate streak in 2016. The Cleveland media is calling game 6 the biggest sports event to ever take place in the city, and could see the streak end, or extend to 53 years. The finals have been noteworthy for the margin of victory in each game of the series. The closest finish to a game was game 4 in Cleveland when the Warriors won 108-97. Twice in the finals, 15 points have separated both teams at the final horn. Meanwhile, two games saw 30 point blowouts. With such wide margins in the opening five games of the series, a punt on winning margin is worth taking. Ladbrokes has the Warriors at a 14-16 point winning margin with 21.00 odds. A bet on the Cavs with Ladbrokes at 14-16 margin will get a bettor 13.00 odds. 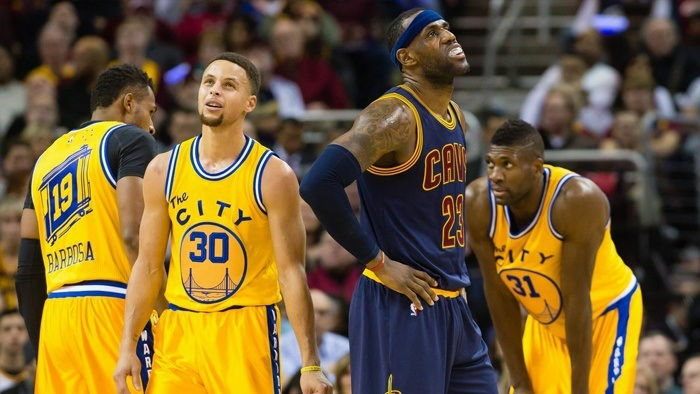 Currently, Golden State are still the favourites to lift the NBA title. Bookmakers have the Warriors around 1.20 to win the finals. However, with game 6 in Cleveland, the Cavs are favoured to win and force a game 7. Some of the best odds makers have the Cavs at 1.70 to win game 6 at home. Cleveland Cavaliers are at home in game 6, and despite making them the favourite, it shouldn’t be seen as a given the team will win. Golden State has been very good on the road all season. Games 4 and 5 have seen both teams pile on the points, combining to score over 200 in each game. However, games 1, 2 and 3 saw less than 200 scored. With the finals wide open, and the Cavs in need of forcing a game 7, if they are to survive, expect all guns blazing in Cleveland. However, Ladbrokes has total points set at 207.5 for game 6. Only once have the two sides combined for more than that in the finals, which was in game 4 in Cleveland. The current odds for over 207.5 points is 1.86, while the under is 1.95. If Golden State win the title it will be theirs for a second consecutive season. Lose to Cleveland, and both teams will return to Oakland for a decisive game 7. Cleveland have been unable to win in back-to-back games in the finals, something they must overcome in the next match-up. The Cavs will need another big night from James if they are to win. If King LeBron can have such a night, again, than the Cavs will see a game 7; and James will further cement himself as one of the all-time NBA greats.